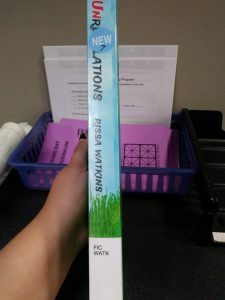 Guess who has a book on the shelf in the Oskaloosa, IA public library? *jumps up and down waving hands* Me! Me! Me! 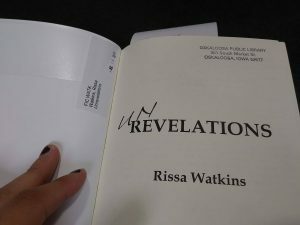 My friend Amber works for Oskaloosa library and submitted Unrevelations to her director to be considered for circulation. Her director read the book and found it shelf worthy for their library. 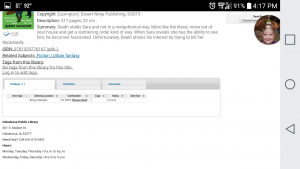 I have a love of libraries as I mentioned in this post. 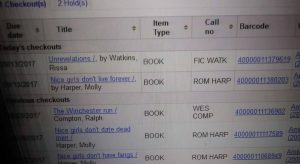 I have always dreamed of being an author and having my book on the shelf at the library. This is a dream come true. It has been a rough week with my blood pressure and heart rate going crazy, but this sent my heart aflutter in a good way. Thank you, Amber and please thank your director for me, too! 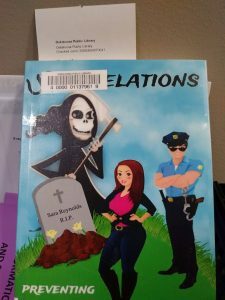 So if you find yourself at the Oskaloosa Public Library, please check out my book and say hi to my friend Amber and her director. So very happy that I had a hand in making your dream come true!